John Danyel (1564-c1626) was content to spend much of his working life in his native Oxford, only being tempted to the fleshpots of the theatre in Bristol and London quite late in life. His only publication is Songs for lute, viol and voice of 1606, which includes the viol part printed upside down so lutenist and viol player could sit opposite each other and share the same book (a brilliant idea, but it probably drove the printers mad!). Davies, Dunford and Manson perform two of Danyel's large scale, three part, pieces both in their way melancholy. Mrs M.E. Her funeral tears for the death of her husband and Can doleful notes? The first dealing, obviously, with the unknown Mrs M.E. 's laments and the latter on what music can best express grief. Danyel's melancholy inclines to the chromatic, with the vocal lines having an interesting complexity, complemented by the lute and given depth with the viol. In between, a more lyrical song, Why canst thou not? but no less melancholy in intent. Never weather-beaten sail is the best known song by Thomas Campion (1567-1620), and he is the only one of the well-known lute-song composers of the era who wrote both words and music. Like Dowland, Campion was apt at combining melancholy with a good tune. Nico Muhly has written in a wide variety of genres and does not shy away from modern trends in music. But he has a traditional boy chorister background and also does not shy away either from writing interestingly quirky pieces which will fit in with existing genres. 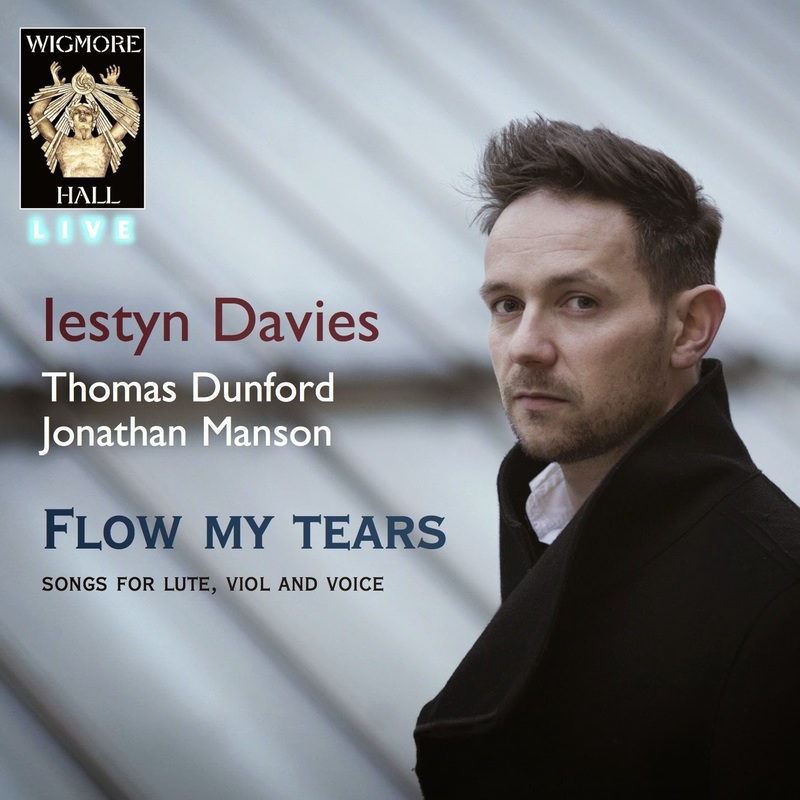 His Our Present Charter has just been recorded by the Choir of the Temple Church (see my review), and here Iestyn Davies and Thomas Dunford premiere Old Bones! which was commissioned for them by the Wigmore Hall. The piece sets Muhly's own conflation of texts, including news reports and an interview with Philippa Langley of the Richard III Society, relating to the finding of the grave of King Richard III which Muhly combines with texts praising the man who is said to have killed the king, Rhys ap Tomas. The result, whilst in one movement, is a multi-section work which in structure harks back to the Danyel pieces, and whose writing for voice and lute relates to that style. Muhly writes sympathetically and lyrically for the two, but he also enjoys the complexity of the medium. He clearly enjoys the textures that the combination of voice and lute gives him, and never resorts to note spinning. Old Bones! is an intelligent response to an old form, and receives a superb performance here. The First Part of Ayres was published in 1605 by Tobias Hume (c1579-1645). It is a book of songs and dances for viol and the title refers to Hume's claim that the viol was equal too and better off without the lute! Here Manson demonstrates the validity of this premise by performing three numbers from the collection, A Souldier's Galliard, Loves Farewell and A Souldiers Resolution. The first a stately dance, the second a series of wistful variations and the last an imaginative battle description. With the songs by John Dowland we reach the best known items in this repertoire. The selection of works on the disc helps to put Dowland into context (he and Danyel were almost exact contemporaries and had parallel careers). They demonstrate Dowland's ability to create profoundly expressive music which was also memorable. Dowland had a gift for writing ear-worms, but also an uncanny knack for using them to write profoundly expressive and serious music. Here Davies and Dunford five of the best known, ranging from from the not-so-simple strophic song Come again, sweet love doth now invite and Can she excuse my wrongs to the more complex single stanza free works like In darkness let me dwell. The profoundly beautiful Flow my tears is in fact a pavan (Dowland's only essay in the form), whilst Now, O now I needs must part is a galliard and it was performed linked to The Frog Galliard as the performers to here. (The Frog of the Galliard, is almost certainly the Duc d'Alencon who was wooing Queen Elizabeth). This is a well packed programme lasting 78 minutes, and the disc includes complete texts and an informative article by Rick Jones and Nico Muhly. This is a lovely disc, and introduces the rich world of Elizabethan lute song in superb performances. Iestyn Davies is on peak form, singing with superb control and combining a sense of line with an intense feel for the words. His diction is superb and the beauty of tone stunning. He is well partnered by the lutenist Thomas Dunford (born in Paris in 1988) and viol player Jonathan Manson. Essential listening for anyone who loves fine music and fine singing.